(Re)Shape Chicago Sponsorship Opportunities - Alternatives, Inc.
We invite our corporate partners and individual donors to support youth shaping positive change by sponsoring (Re)Shape Chicago. Sponsorship levels range from $1,000 to $25,000. Below you will find more information about what (Re)Shape Chicago is, how you can get involved, and the benefits of sponsorship. All of our sponsors are also invited to connect their employees as volunteers and to attend our Showcase Dinner which will be held on Saturday, March 30, 2019. 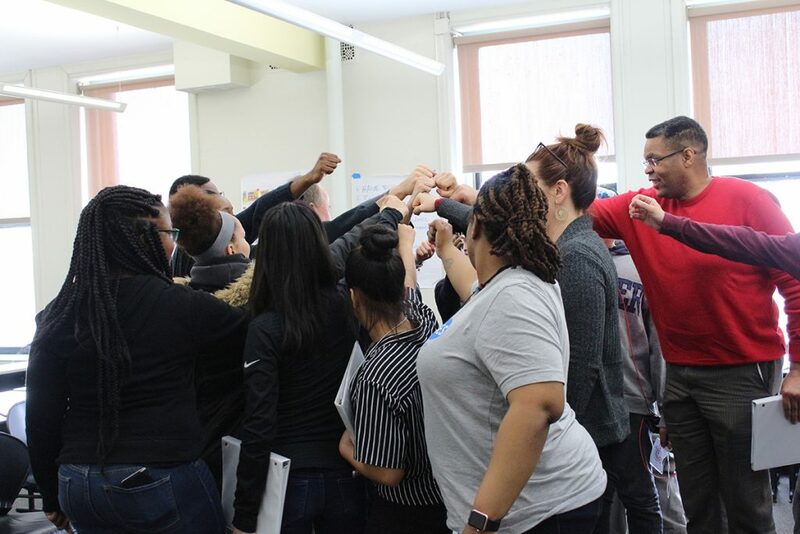 During the first year of (Re)Shape Chicago, teams of young people grappled with serious, real-world issues that impact them every day – including racism, violence, and sexual harassment. With support from volunteers, they explored the complexity of those issues and began to develop solutions to address pieces of those large issues that felt most relevant to them. Now, in its second year, some young people will be continuing to develop the solutions they started and others will be diving into new challenges, based on what feels most relevant to them. The final showcase will be a celebration of youth insight and creativity and an opportunity for you and your guests to learn about and support their projects and Alternatives’ work with Chicago youth. In 2019, our final Showcase dinner will take place on Saturday, March 30th at the Chicago Teachers Union – 1901 West Carroll. Save the date! Spokesperson inclusion in media opportunities, the (Re)Shape Chicago documentary, and at the showcase dinner. Prominent logo position on all event media, promotion, youth and volunteer t-shirts, and invitations. On-sight volunteer recruitment and training for up to 30 employees. Showcase dinner tickets for all volunteers and up to two tables (16 people) of additional representatives. Sponsor Showcase dinner, three tables at award dinner logo included on all event media, promotion, youth and volunteer t-shirts, and invitations. Sponsor showcase dinner, two tables at showcase dinner, logo included on all event media, promotion, youth and volunteer t-shirts, and invitations. One table at the Showcase dinner and opportunity to have a representative introduce sponsored team at the Dinner, your logo will be included in all showcase dinner media, promotion, youth and volunteer t-shirts, and invitations. Sponsor Showcase dinner, includes 8 tickets to awards dinner and logo included on event signage, program booklet, and website. Sponsor Showcase dinner, includes 4 tickets to the dinner and logo included on event signage, program booklet, and website page. If none of these levels are a good fit, we can work with you to design a sponsorship package specific to your company or organization.